Lord Rama's Appearance Day - Fri, April 15, 2016 ~ The Toronto Hare Krishna Temple! On Friday, April 15, 2016, Toronto’s Hare Krishna Temple will celebrate the Appearance of Lord Ramachandra - Rama Navami. Lord Ramachandra is Krishna's avatar who ruled the earth as the ideal king. He appeared more than two million years ago. 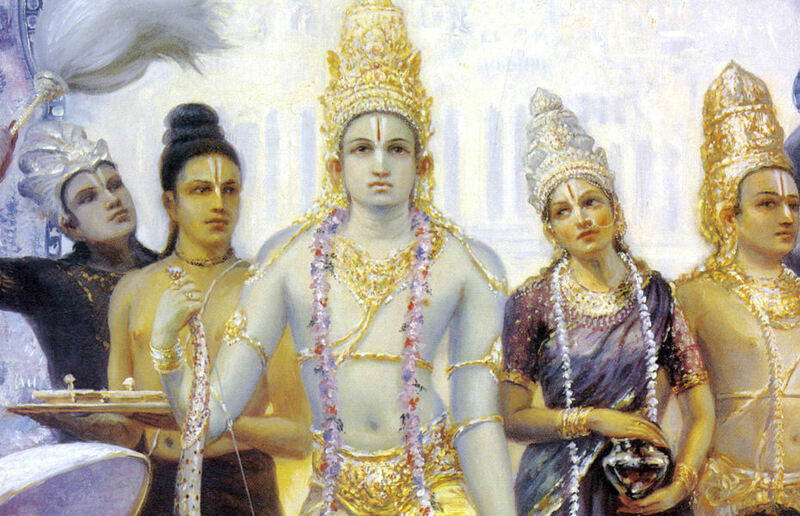 Under the order of His father, Lord Ramachandra lived in the forest for fourteen years, along with His wife, Sita Devi, and His younger brother, Lakshmana. After the powerful demon Ravana kidnapped His wife, Lord Ramachandra rescued her, with the help of His faithful servant Hanuman, and killed Ravana along with Ravana's armies. The history of Lord Ramachandra's pastimes is recounted by the sage Valmiki in his Ramayana. Everyone is welcome to attend this special festival! 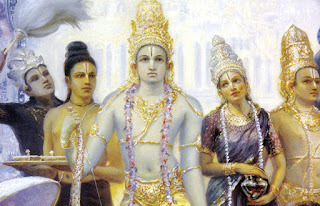 7:15pm to 7:30pm - Rama Navami Quiz! Will there be any arrangement for parking ? Yes! There is free parking on Roxborough Street from 6pm to midnight! What will be the program for tonight. A few observations: As every year I attended the noon arti as well as the evening function. However despite Sri Ram being born at noon there was no special observance at this time. Additionally while Krishna was nicely decorated there was noting for Sri Ram, in the past there has been a small mandir with pictures of Ram Durbar and a special arti. While I understand that Ram and Krishna are one and the same this really helped set the mood and was greatly missed on my part. Hare Krishna! Thank you for very nicely and constructively sharing your feedback regarding the festival. We have noted your feedback and will certainly try to improve the festival in future years!